If Muni were a person, this is what he would look like. At least according to Seismogenic, who has drawn Car 1 into an earnest-looking fellow. Seismogenic draws “strange comics of personified inanimated things” (or in the case of Muni, is it “personified comic of strange inanimated things”?). Check out his take on Coit Tower and the Filbert steps. 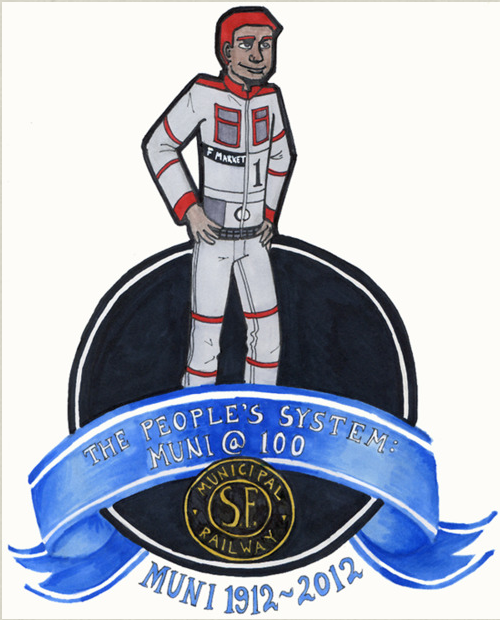 And don’t forget: Muni’s centennial celebration gets under way on April 5 (next Thursday! ).